Years ago my Mother gave me my Grandmother’s needlework from the early 1900s. 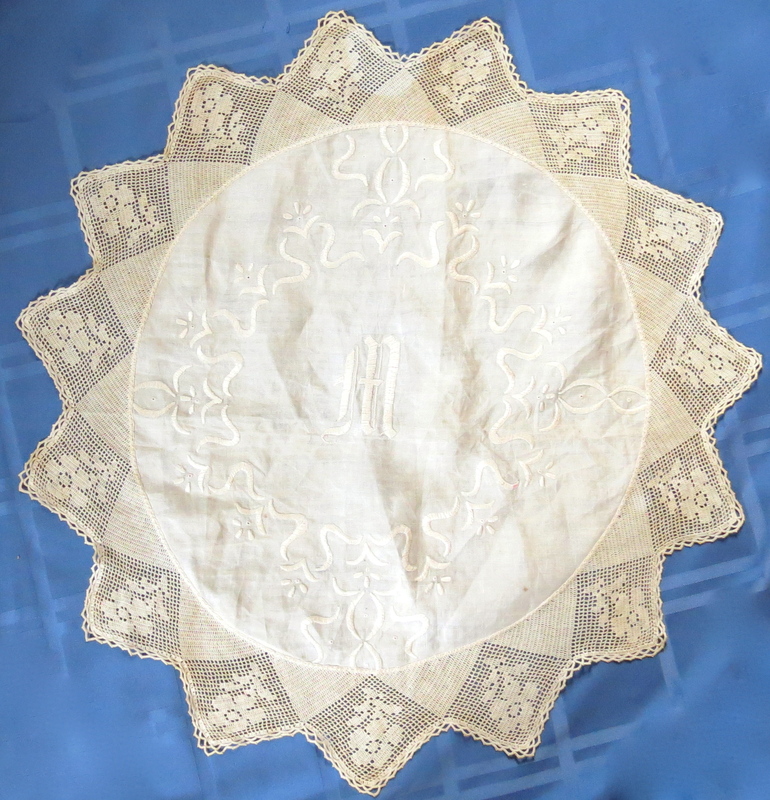 Linen tablecloths, napkins, handmade doilies, place mats, coasters and other assorted pieces remained in a disheveled pile in the attic for years. 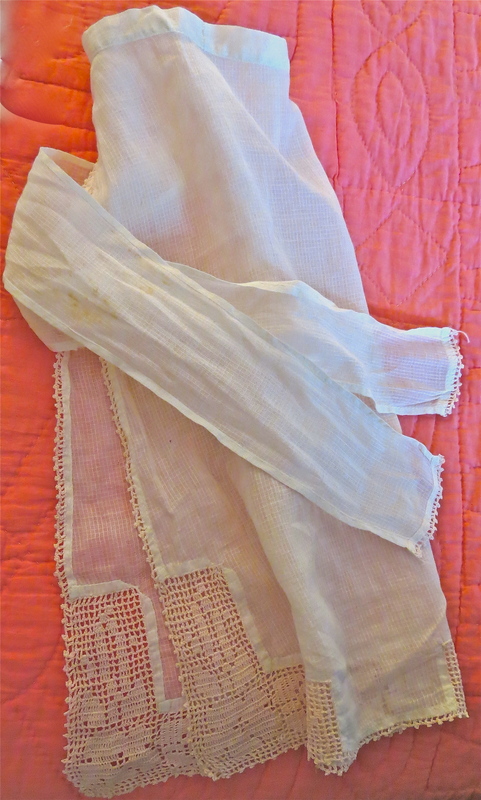 Occasionally, I would pull out a doily or bureau scarf to use around the house, but with so many pieces to choose, most were left untouched. To reexamine these pieces of art became my goal. Listed below are five issues that I faced and solutions to those problems. 1. Overwhelming quantity. I couldn’t figure what to do with so many items, and stains and disrepair characterized many of the pieces. I couldn’t just throw them into the washing machine so I thought it best to leave them until I could figure out the proper washing. Solution: I sorted the pieces into categories, deciding which pieces could be given away, saved and restored. I planned to make a collage of the needlework for each female member of the family. With everything organized, each piece then became its own unique piece and its value more readily apparent. 2. The question of utilitarian value. 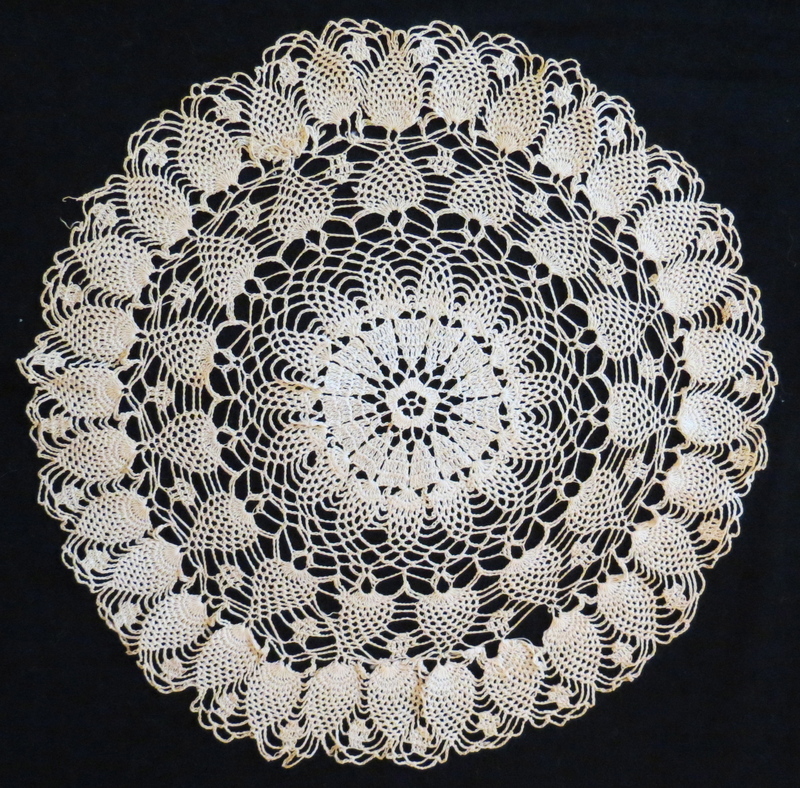 How does one find a use for a doily? I can see how they could be used as furniture protectors, but modern glass and plastic glass holders work better. For modern decor, a lace doily just doesn’t fit. Certainly, having a linen tablecloth with a crocheted edge is beautiful, but washing a vintage tablecloth frequently probably is not wise, running the risk of ruining the fabric. Solution: I decided to go “shabby chic” with our guest room. I bought furniture at thrift shops and resurrected some pieces from the attic. 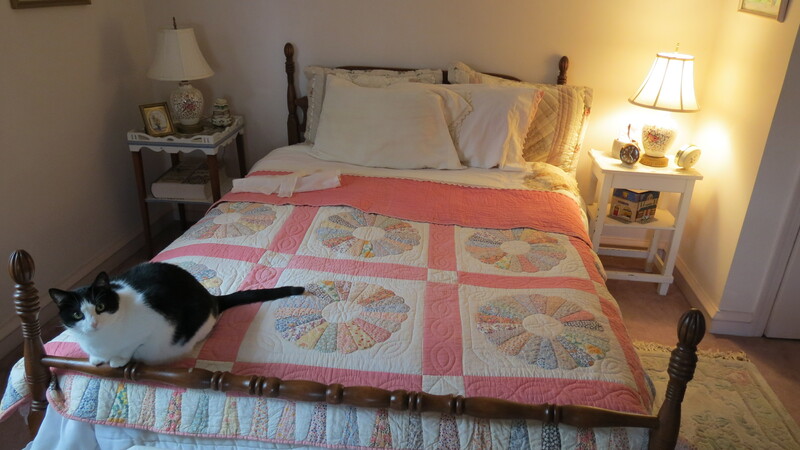 The doilies and quilts worked well in the room. I carefully washed the sheets and pillowcases and put them on the bed. 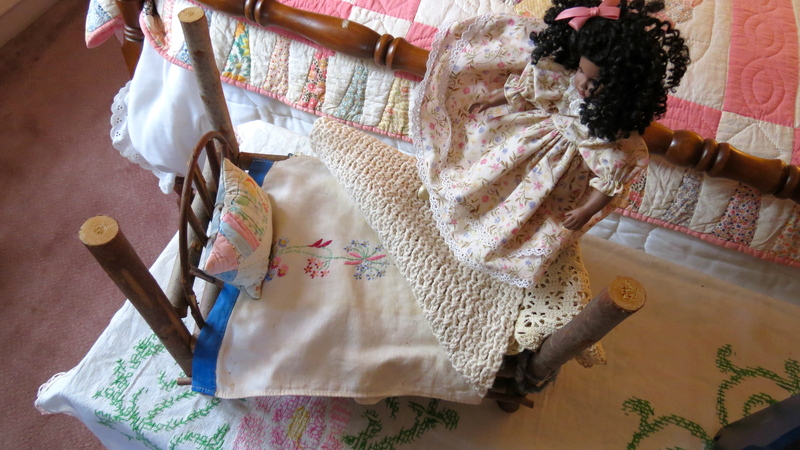 I used some of the smaller pieces as blankets in a doll’s bed. By the 1920s the color of fabrics changed as women began to prefer pastel and light color schemes. I would date the quilt above from that time period. Quilting was transforming from a utilitarian craft to an art form. Art has a greater positive connotation than craft, but is this the result of our culture’s elitist values? Should we reject the art classification, which in some ways diminishes utilitarian value? I could argue that these creations are decorative, and, therefore art, as the practical use has almost completely disappeared due to the delicate nature of the fabric and needlework. 3. Generational distance and missing the oral history. These pieces came from my father’s mother, who had passed away long before I was born. My mother’s mother had no such collection. 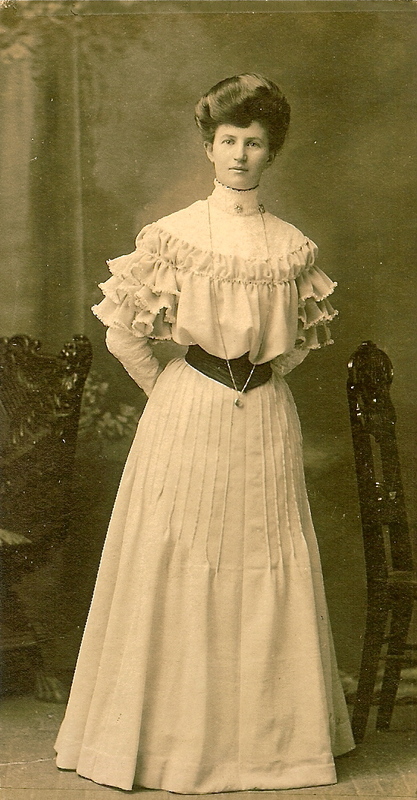 She came from the tenements of Clyde Bank, Scotland, raising eight children on poverty wages. According to the Internet, women who had some free time were able to work on needlework projects. Although her husband was an auto worker, Mae Kerr did not work outside the home, allowing her time to crochet and quilt. On a cursory inspection, the pile of linens seemed amorphous . . . sort of lacy stuff, I would call it. 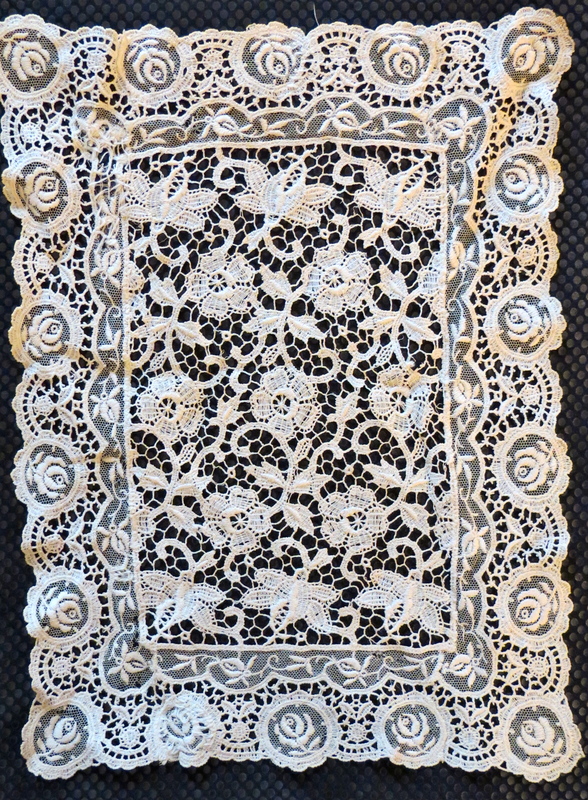 Was it lace–crochetted, knitted, or embroidered? 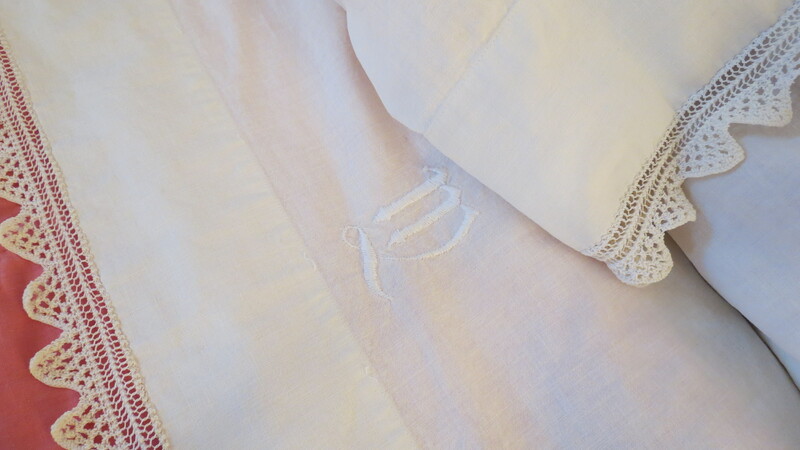 Were the threads silk, linen or cotton? Solution: Research on the Internet provided information on the various needle crafts. I was able to identify the quilt patterns my Grandmother used. I also spoke with several women who could tell me about the different styles, sewing techniques and fabrics. 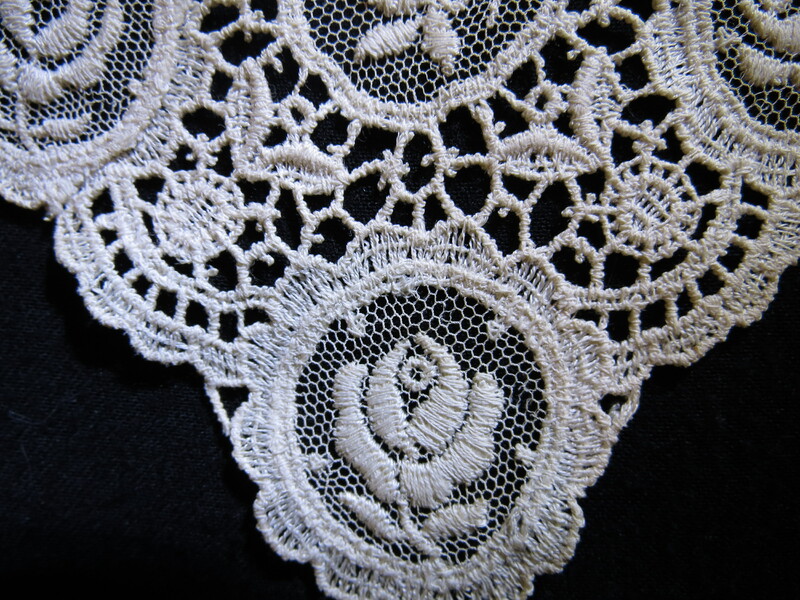 After some investigation, I now have some familiarity the terminology, such as the various kinds of laces, tatting, needle point and white work, just to name a few. By sharing my Grandmother’s needlework on the web, I hope that I can contribute, in some small way, to an appreciation of these artistic creations. Women’s International Day stands for decent work for women. With the focus on that goal, we must ensure that women, whether working outside or inside the home, have time to pursue self-expression. Frantic work schedules that press on a women’s free time and low wages that demand that women hold two or three jobs works against the common good, depriving our culture of untapped invention and creativity.